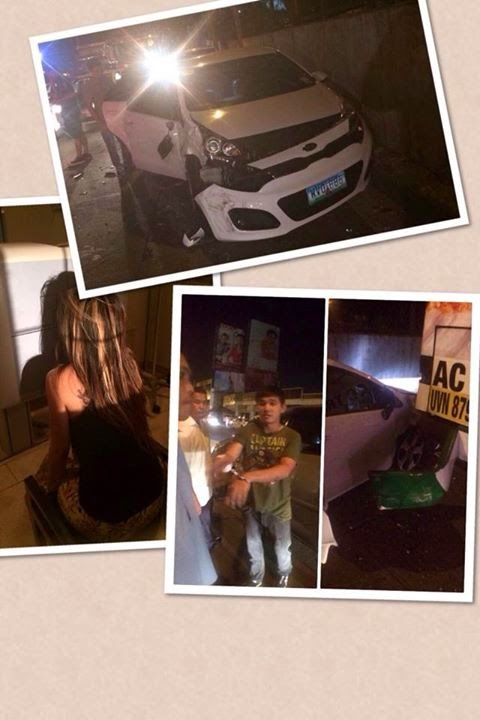 Mocha Girls' Dela Cerna, Turner and Sotelo Hurt in Road Accident - Balita Boss! In the early hours of Saturday morning, a highway accident happened that involved the Mocha Girls. Three members of the sing and dance group were injured, a radio report said. Mae Dela Cerna, Sabrina Turner and Jho Anne Sotelo, Mocha Girls’ manager and driver Lord Byron Cristobal were on the vehicle when the road accident happened. According to Dela Cerna in an interview with radio dzMM, they came from a show in Timog in Quezon City and on their way home when a passenger bus hit the right side of their vehicle. The accident occurred along EDSA corner Annapolis Street around 2 a.m. Initial police reports said that a Toyota Innova with plate number ZND 711 hit AC Trans bus driven by Sonny Samson, causing the bus to collide the Mocha Girls’ vehicle. Pancho Gonzales, driver of the Innova, seemed drunk at that time was also involved in another mishap in Greenhills, authorities said. The driver was invited for investigation. The victims who sustained minor scratches and bruises were taken to the hospital for treatment. Last May 2013, President Benigno Aquino III signed Republic Act 10586 or the “Anti-Drunk and Drugged Driving Act of 2013.” An act penalizing person driving under the influence of alcohol, dangerous drugs, and other similar substances gives authorities the power to imprison up to three months and fine drunk or drugged drivers of Php 80,000. The all-female sing and dance group Mocha Girls popularized hits like Patcha and Deliciosa. The group won the PMPC’s Best Dance Album of the Year in year 2009 and 2012.